When I go to the restaurant in Japan, the waitress often asks me first: “Do you smoke?”. I always choose a non-smoking seat as I don’t smoke, but each time I feel that this is a strange system. When you’re abroad, you can find many non-smoking restaurants. I think, of course that restaurants should be like this. There is no reason that people should be allowed to smoke in restaurants. If you just read this, you might think I insist that smoking itself is bad. But that’s not the point: I am just upset about the fuzzy system regarding smoking rules in Japanese restaurants. When I’m given a non-smoking seat in a restaurant, it will often happen that I can’t enjoy my meal comfortably because of the smell of cigarettes. Smoking area is not completely isolated, the room is just divided in two (smoking and non-smoking seats) and most of the restaurants don’t have any physical separation between the two areas. 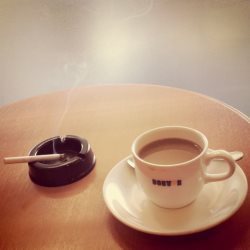 If you are unlucky enough to be given a non-smoking seat next to the smoking area, you will definitely breathe in the smoke of the cigarettes. This system of separating smoking and non-smoking seats is completely meaningless. Izakaya is the worst case, they don’t even provide non-smoking seats. All the tables have an ashtray. In Japan when you drink alcohol, you are allowed to smoke openly. 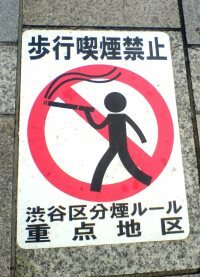 Nevertheless, smoking in the street is forbidden. I often see the sign with the message: “Smoking in the street is forbidden except in the designated areas.”. But why don’t they fully prohibit smoking in restaurants and izakaya before cracking down on smoking outside? Recently there are many local governments that prioritize setting up smoking areas in the street to prevent people from throwing cigarettes away, but they don’t seem to care about the crucial problem of separating smokers and non-smokers indoor. I think that Japanese people are seriously worried not by the fact that tobacco damages our health but by the fact that smoking makes the streets dirty. In short, Japanese only care about appearances. 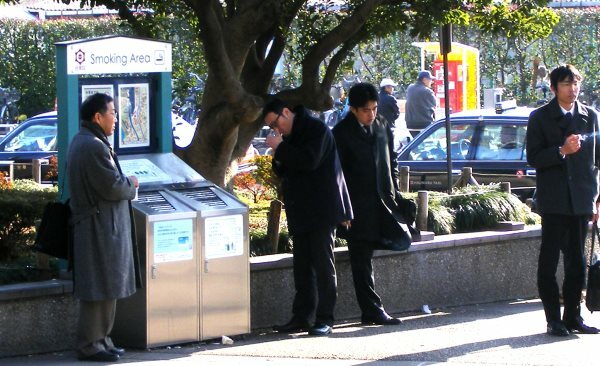 In Japan, because there are smoking seats in the restaurants, some ignorant parents will choose to go to the smoking area and smoke openly in front of their kids. If in the future restaurants and cafes happen to become completely non-smoking, this kind of stupid parents might realize that smoking in front of their kids is bad. 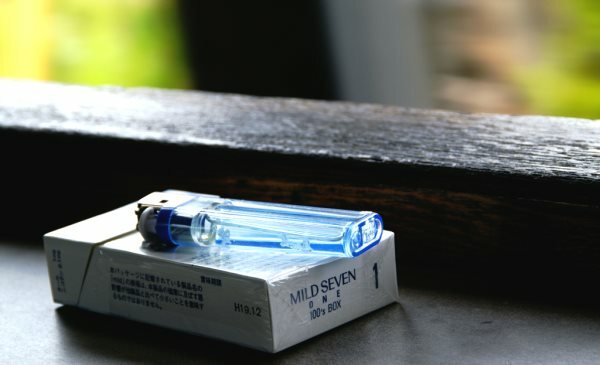 In Japan there are many people who don’t think seriously about the damage of tobacco. I really think that the current Japanese society has to reconsider what is really wrong with smoking.